I am delighted you have decided to join in our Modern Irish Medallion QAL! 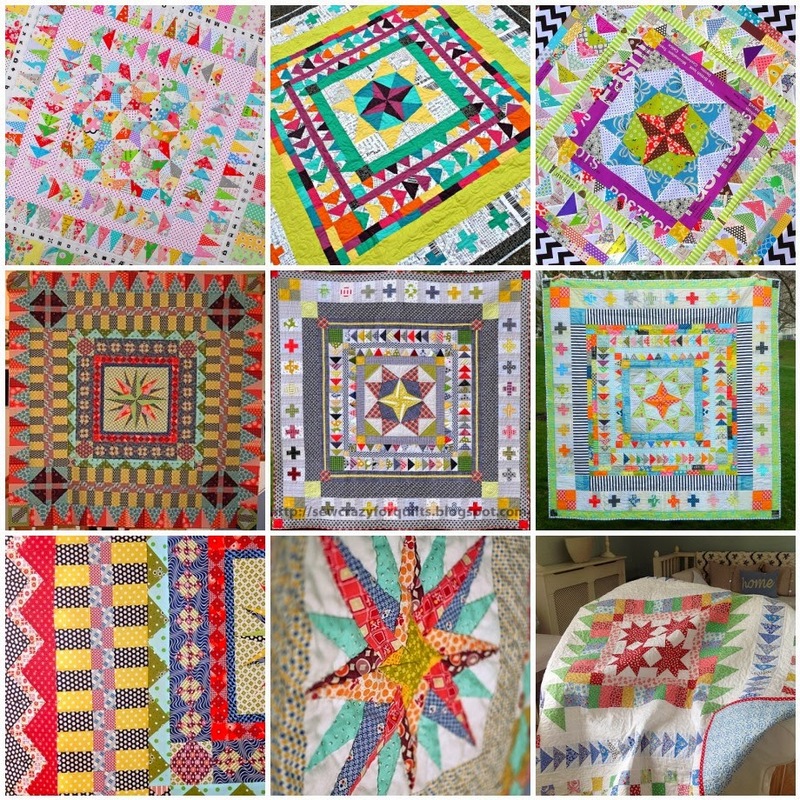 Have you been busy daydreaming about what your medallion quilt will look like? I hope by now you have taken the time to read through Melanie's first post, giving us our guidelines for getting started. Do you think you're going to follow the clearly described Track One, or are you more a Track Two free spirit? Over the last two weeks we were to each create an inspirational mosaic and dig through our stash to pull fabrics setting the tone for our quilt. Maybe you're an over achiever and have already started stitching your first central block for your quilt. Each and every one of us would love to gain inspiration from your mosaic or drool over your fabric pull! Please leave a link to your blog post below and we'll all hop over there for a peek and a giggle. Be sure to visit the other links you see below and offer advice and encouragement. Over the next two weeks, here is your challenge: Re-read the QAL first post and create your central block for your medallion quilt. Seeing as this is only one 15 inch block and we have two weeks to sew, go on and read the QAL second post and make your first border. This will give you a 24 inch square quilt top. Come back here on 19 Feb and link up to show everyone your medallion quilt center. Happy stitching!